You'd think that sooner or later, Mother Nature would give BeerFeast a break. It's springtime in Texas, so we expect it to be warm, but one year we get a lake breeze that just about stops you in your tracks, and the next, nothing. Honestly, I'm not sure I've ever seen Lake Ray Hubbard so still. Who turned off the breeze?! Thank goodness for cold beer, as the Flying Saucer delivered on what mattered most, a plethora of tasty pours. Nothing to review here, been there, done that, and we'll do it again next time it comes around. Someone please just remember to call that brewery with the blue and white logo (and maybe the one up the street, and that one with a big bird on the building, too). Seeing as how pretzels are commonly associated with beer, it was just a matter of time before someone included the snack time staple in one of their brews. There Will be Stout by Martin House is dubbed the original pretzel stout, and given its dry roasted character and salty undertones it drinks just about as you'd expect. In sample form it's an intriguing brew, so I'll be curious to see how it evolves over the course of a full pint. Bring me a hefeweizen with a fruit wedge attached and I very well might throw it at you (the fruit, not the beer). This is the style that got me into craft beer in the first place, so I get a little jumpy when people start horsing around with my hefe. That being said, Franconia did a little dry-hop number with Sterling and Columbus hops I think I'm ok with. It gave their Bavarian-style Wheat a refreshing and subtle citrusy edge that I suppose some might argue can be obtained by ringing out an orange slice over top of their carefully crafted beer. Unfortunately, they're wrong. I guess you could say I'm becoming more comfortable with Numb Comfort. My first taste of Deep Ellum's barleywine seemed a little sweet and a little bitter for my taste, but subsequent pours have smoothed out to the point that it might be time to give this one its proper due. I do believe it's working. Good. I by no means consider myself a hophead, but BeerFeast now marks the third time this year that an IPA has turned out to be my festival favorite. This time it's Karbach Hop Delusion, a bright and bitter brew that's properly labeled as dank and resinous. Considering this and that Bourbon Barrel Hellfighter that's been making the rounds, I just have one thing to say. Where were these guys when I lived in Houston? You may find this hard to believe, but of the thirteen production breweries currently operating in North Texas, nine of them have yet to reach their first anniversary. Not only that, but no fewer than five of them will be hitting that milestone before the end of the year. 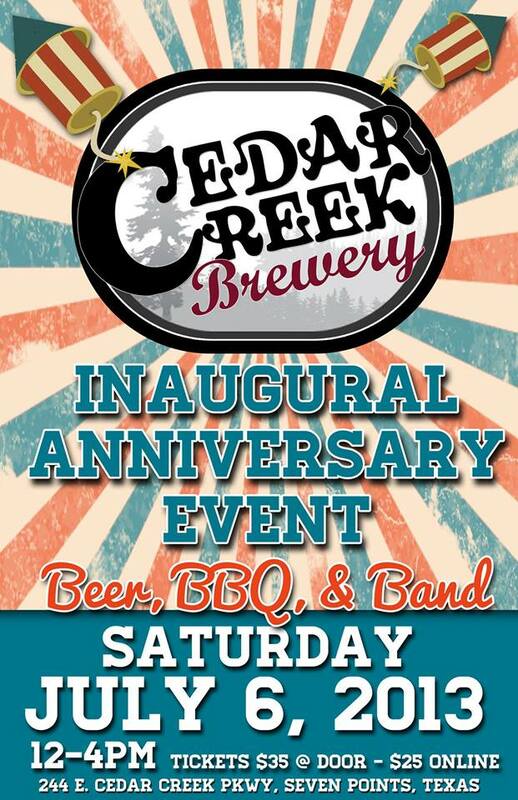 Leading the pack will be Cedar Creek, who'll be celebrating one year in the brewing business on Saturday, July 6th at 12 p.m. It's been an eventful first year for the brewery in Seven Points, having already undergone an expansion back in January with the addition of two 20 bbl fermenters and a 20 bbl bright tank. They also got their canning line up and running shortly thereafter, with Lawn Ranger appearing at retail in 4-packs of 16 oz cans in March. Just recently, they've started delivering Elliot's Phoned Home Pale Ale in the same format, and soon they'll round out their year-round offerings by packaging Scruffy's Smoked Alt for release in August. Each of these beers will be on-tap during the anniversary party, along with their Belgian Dubbel (originally released during the mid-winter timeframe) and a soon-to-be summer seasonal called Repartee (a Belgian-style witbier). Joining these will be Gone-A-Rye, a special anniversary brew stylistically described as a rye double IPA. According to Head Brewer Damon Lewis, this beer will incorporate Bravo and Apollo hop varieties, and will finish out with an ABV of around 8.5%. 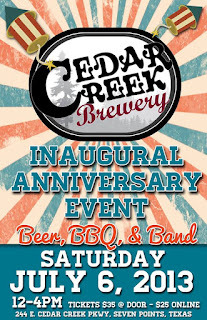 Tickets for Cedar Creek's Inaugural Anniversary Event are $25 in advance, or $35 at the door. Admission includes a souvenir glass, meal ticket and six brewery samples. Food will be provided by Dutchman's Smokehouse, and there will be live music from the band Full Circle Rising. Late last week, the New Yorker published an article as part of their regular "Idea of the Week" series entitled "Mapping the Rise of Craft Beer". Accompanying the story is an interactive map which provides a statistical look into how states compare to the rest of the nation in the categories of total breweries, annual production, production growth and breweries per capita. Judging by comments associated with shares on my social media feed, many are focusing on the fact that Texas now ranks 8th in the country when it comes to total breweries. I have to wonder, though, what this number really means. Texas is a big state with a large population, so doesn't it stand to reason that we would have a lot of breweries? Consider the following: nine of the ten most populous states in America are among the top thirteen when it comes to the total number of breweries. That's a pretty strong correlation. I imagine these states have a lot of gas stations and grocery stores, too. This raises an interesting question. When gauging the health of the craft beer industry which is a better indicator, more breweries or more beer? I would argue the latter. Just because a new brewery opens, it doesn't mean that Texans are drinking more beer. All it means is someone thinks they can build a better mousetrap. Even if they can, it won't amount to much if there isn't anybody beating a path to their door. So, what about more beer? Things get a little trickier here, since the graphic shows that Texas ranks seventh in annual production. That's all well and good, but nine of the top ten states with the most breweries are also among the top twelve in terms of total production. Having more breweries translates into producing more beer, which isn't terribly surprising. You may open a brewery, thereby increasing production in the state, but demand can't be factored in until someone has actually tried your product to know if they want to drink it again. Is this a case of more doesn't always mean better? A high ranking in the number of breweries and total production certainly looks good on paper, but take into account population density and I'm not sure it isn't just the natural order of things. What now? Well, I still think more beer is the right answer, albeit with a qualifier. This brings us to production growth. Out of the four metrics showcased above, change in production would seem to be the most telling when it comes to deciding whether or not consumers are drinking more beer. Generally, higher demand for an established product tends to drive increased production. It's more beer, just in a different context, and it may provide a clearer insight into how things are going in your local market. In this category Texas ranks 34th, with a year-to-year increase of 14.21%. On the surface this growth rate actually looks pretty good, but lofty numbers in other states suggest it could be better. Here again, though, I'm not sure how much the ranking matters. Personally, I'd be happy seeing long-term sustainable growth regardless of where it puts Texas on the national stage. With just two weeks to go, final preparations are under way for the Best Little Brewfest in Texas, to be held at the Texas Motor Speedway on Saturday, June 22. Promotional efforts are in full swing, with organizers making the rounds at area breweries and craft beer-friendly establishments seeking to get the word out on this first-time event. 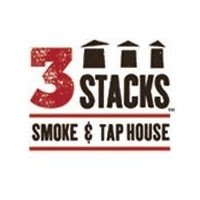 They've even stopped off to talk up the festival on local beer-centric webcasts Beer for Breakfast (second podcast down after the link) and, most recently, Bottoms Up Dallas. According to Kim Cloud, founder of Cloud 9 Charities, the list of brewers attending is being finalized, but everything else you need to know is outlined in the latest press release, provided below. Think of it as your chance to "drink beer and make a difference", since 100% of proceeds go to charity. "We will have 50+ craft brewers and over 120 beers, many of which will be one-offs and new releases. There will be a 'Draft Wall of Courage' with nearly 20 craft brews that will challenge your taste buds and knowledge of brewing chemistry! Brewers are coming from all over Texas including the greater Houston and Austin areas. Some have never had their beers in the DFW area ever before! For the designated driver and non-beer lover we have hard ciders and tea. Cold water and sodas will also be readily available at the many food vendors. We are planning on 4,000 tasters including 500 VIP attendees. VIP will have first chance at the great craft beer offerings being able to come an hour early (1:00 pm), [with] special parking and table seating in a reserved area. Snack food, exclusive restrooms and acoustic music are provided just for your comfort. VIP tickets are $75 and General Admission is $30 online ($35 at the gate). The music stage will have four great local bands outside and seven great acoustic musicians inside the garage. Air conditioning and misting fans will help moderate the temps. Food trucks will keep us fed. No charge for parking. Check www.blbfit.com for more details and for tickets. Organized by Cloud 9 Charities, www.cloud9charities.org, the Best Little Brewfest in Texas will benefit Alzheimer’s Caregivers Support and Teen Suicide Prevention. We are proud that we are the ONLY 100% for Charity Craft Brew Festival in North Texas! So, Beer aficionados, it’s time to make a difference in the lives of both the young and the old while enjoying some fantastic craft brews and the revival of Craft Beer in Texas! Ladies and Gentlemen, Start Your Taste buds!" It would appear as if the Lakewood Brewing Company has a way with the ladies. The brewery, who first went out on the town with The Temptress, has been stepping out with someone new. La Dame du Lac, the second release in Lakewood's Legendary Series, may have you thinking of a familiar Arthurian allurer, but this Lady of the Lake gets its backstory from a local Dallas legend. The tale involves the ghostly vision of a woman appearing in search of a ride after an accident on White Rock Lake. Obliging drivers report that upon delivering her to the requested address she vanishes, leaving her benefactors to discover that she allegedly drowned many years before. The beer paying tribute to this story is a bière de garde, a French farmhouse ale whose definition leaves it open to interpretation. It can be pale and effervescent, along the lines of a Lost Abbey Avant Garde (a beer that sadly isn't distributed here), or dark and smooth like the locally available Gavroche from La Brasserie de Saint-Sylvestre. In all cases, such brews should be malt-forward, with hops playing little more than a supporting role. Lakewood's version falls somewhere in the middle of the color wheel and virtually on point when it comes to style. First impressions are of toasted malt, with a kind of cellar-like quality that in some ways reminds one of that "something in the air" feeling you get when you walk into someone's basement. This is a good thing, mind you, as a farmhouse ale is supposed to be funky. In terms of flavor, these elements surround a lingering sweetness, background esters and a light balancing bitterness. Some may prefer a slightly drier finish, but this brew is not cloying and doesn't come across as being too heavy on the palate. In terms of complexity, La Dame du Lac is certainly a beer that evolves, revealing more of itself as it approaches more moderate temperatures. When cold, the funk tends to dominate and the beer has an almost vinous character. Over time this fades, allowing the depth of the malt to come to the fore. Neither taste nor aroma, however, will clue you in to the Lady's inner strength. The label quotes an ABV of 7.5%, but the noticeable warming effect that creeps in makes it seem like a beer that drinks much bigger. It's a worthy brew, whose "legendary" tagline has it begging for a bon mot (it's French, look it up). The obvious one has been (or will be) done to death, so it's left it to you to try the beer and come up with something clever. 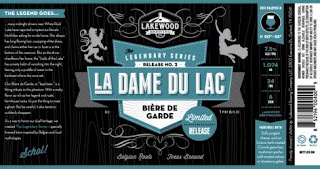 Seek out your muse on tap for a limited time at establishments that typically carry Lakewood's seasonal brews, or hold out for bottles once La Dame du Lac is packaged and allocated to retail.